This DVD features exciting and innovative batik and natural dye artisans in Indonesia. 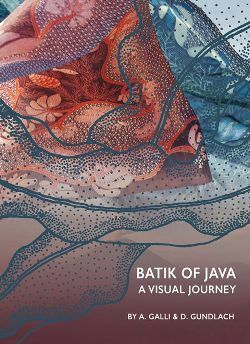 Batik tells a story like no other textile can about the history of an island people and their beliefs. From early influences of Hinduism and Islamic trade to a demand for brightly coloured floral cloths highly prized in Europe, batik has made its way from the Sultan’s Palace in Yokyakarta to the village community, where highly skilled artisans produce batik for a range of buyers and tastes. Join us on this journey into the heart of batik making as we bring the process and the story of batik to life.